The roots of actuarial science dates back to the time when the concept of compound interest was published by Richard Witt, and can be considered as one of the oldest professions. Used especially in underwriting the loans and in insurance earlier, actuaries have been one of the earliest users of data and generating insights from it. Though they have been there for the longest time, their demand have come up again with reports suggesting that there are now only 4% of actuaries in India compared to the roles that are available for actuaries. They have been preconceived to be relevant to just insurance industry (LIC, AIG etc.) and banking for long. However their work can expand to diverse industries such as banking, healthcare, pensions and benefits, asset management, capital project, investments, risks and others. They can have roles of consultants, analyst, troubleshooters, risk assessors, amongst others in these industries. To put it simply, an actuary specialises in evaluating financial implications of risk and uncertainty, while devising solutions to reduce chances of any future risks and occurrence of any undesirable events. Though it is a very narrow field and has a specific job destination, it is one of the best paid jobs. Numbers suggest that most of the actuaries that qualify either end up leaving India for better opportunities or doing their own business. Given the sparse number of these professionals in India, their demand is at a rise. What are the skills required to be an actuary, how can you equip these skills? Being an actuary typically requires minimum of bachelor’s degree. Direct route to major in actuarial science consists of course in math, statistics, and industry related experience, however, other quantitative courses may also produce candidates for actuarial science. These majors typically include computer science, economics, mathematics, physics and statistics, humanities, English among others. Financial and statistical techniques form a basis to solve most business problems, particularly those involving risk. Actuaries extensively use core statistical training, analytical thinking, quantitative skills and advanced domain knowledge to get into the problem areas. As Rob Thomas of IBM Analytics define, actuarial science is about collecting all pertinent data, using models and expertise to factor risk and making decisions. Dynamic risk management entails real time decision making based on a stream of data, he had said. As they also work with large amounts of data, actuaries need the ability to subdue unstructured data, have better programming skills, visual representation experience and skills to build models in the big data world. They are also expected to have excellent communication skills to enable them to communicate ideas to their customers. 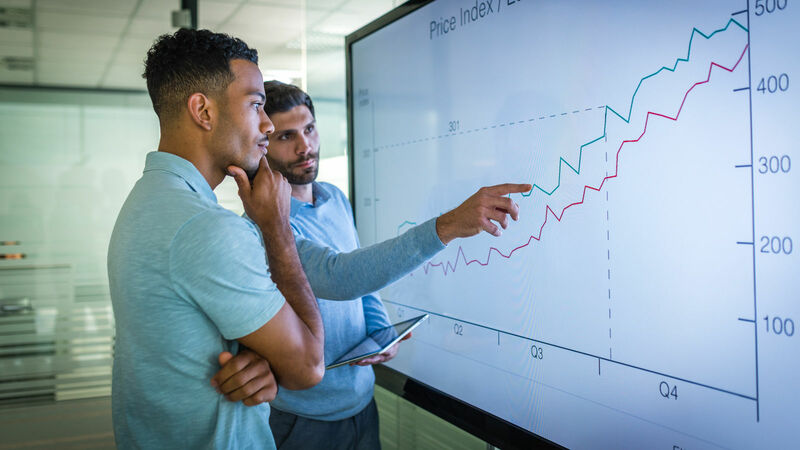 Analytical problem solving skills- Since they are tasked with examining complex data and identifying trends, analytical problem solving remains a key skill that will help them look for ways to minimize the likelihood of undesirable outcome. Computer skills- Computer along with a variety of statistical modelling software is required that will help them to evaluate large numbers of data. Undergoing courses in SAS, VBA may be required. They should be equipped with formulating spreadsheets, database manipulations, statistical analysis programs, programming languages etc. Math skills- Since they deal with numbers, being quick and correct in math skills is certainly required. Knowledge in calculus, probability, statistics and others will help. Understanding of business and finance- As they would find themselves being employed with insurance and financial institutions, a fair amount of understanding on how these industries work is an advantage. Good business sense will help in devising solutions for financial risk and providing expert opinion. Communication skills- As mentioned earlier, since actuaries connect with various personnel including programmers, accountants, and senior management, to be able to communicate effectively is the key. Some of the colleges in India that provide exclusive courses in actuarial science are Aligarh Muslim University, Andhra University, University of Mumbai, University of Delhi, University of Madras, AMITY, amongst others. Several private institutes are also booming in the space such as IIRM Hyderabad, Chitkara University and others, providing bachelors and masters in actuarial science. As we earlier saw actuaries deal with data, they even serve an important role with predictive analytics by using modelling and data analysis techniques on large data sets to discover predictive patterns and relationships for business use. They use analytics extensively in their working to transform data into useful information. Therefore, there is a close proximity that actuaries have with analytics and data science fields. While they both revolve around data, there are certain lines drawn between these two. For instance, actuaries are found primarily in the insurance industry, primarily for risk assessment, data scientists can be found in virtually any industry. If we have a comparative lookout at actuarial science and data science in detail, while the prior is about study of finance and related fields’ activities, and latter is about studying different data sets, their relationship and analysis. While AS covers financial modelling and studying data around it, DS covers aspects of databases, data mining, machine learning, data visualisations, and others. Unlike data science, actuarial science is strictly domain specific. It can be said that data science skills are great to have in actuarial practise, but one doesn’t need them necessarily to be an actuary. While they both share same responsibilities, their education and skill sets may differ. Actuaries generally make use of SAS, Excel, VBA, and SQL, MoSes and Prophet on a frequent basis, data scientists are more programming savvy with an expectation of the know how of C++, R, Python and NoSQL databases, Hadoop, etc. Though there are differences between the two fields, the actuarial employers are increasingly expecting their staff to have same skill sets as data scientists. With the two fields heading towards creating blur lines between themselves, it wouldn’t be surprising to see actuaries being called data scientists in the coming future.